Seeds & leaves of Madayantika (Henna), Amra Gandhi Haridra (Amba Haldi), haridra (Turmeric), Manjishtha, Jati-phala, Shweta Chandana, Tagara (Sugandha Bala), Sphatika Bhasma, Khadira, Karpura, etc. 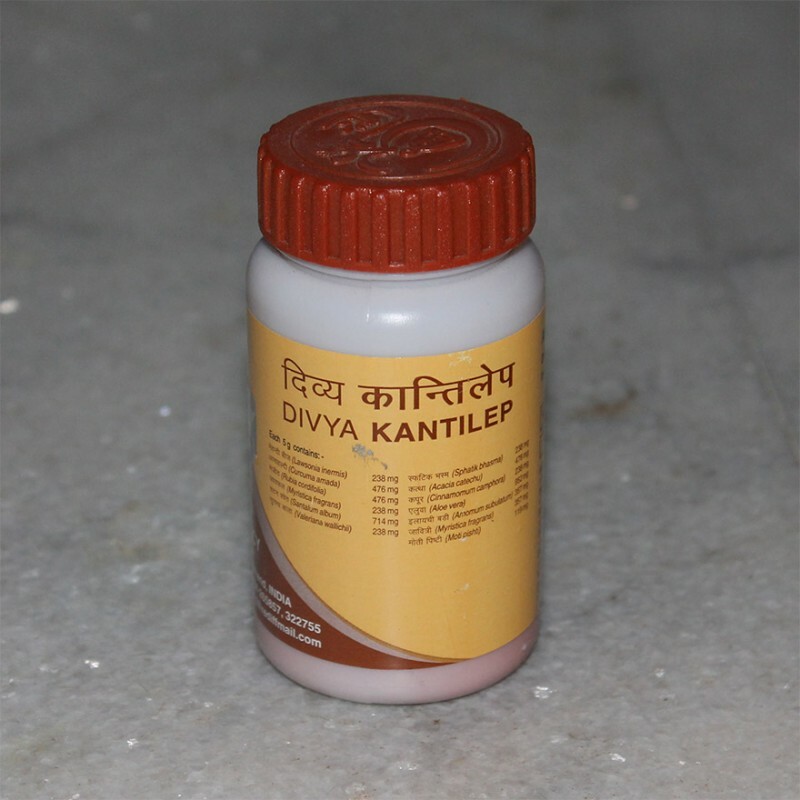 Instantaneously cures skin-disorders, viz. pimples, acne, wrinkles on face, loss of shining & luster, darkness, etc. Application of this paste absorbs all the complaints of the skin, as a result of which the skin again becomes healthy; the natural beauty of the face reappears; it also promotes splendour, shining & luster on the face. Take one teaspoonful of this powder, make a paste by adding either rose-water or unboiled milk, then apply on the face, allow it to remain for 3-4 hours and wash the face with luke-warm water.